Training to be the best version of yourself every day is everyone’s fitness mantra. Despite all the motivational talk, though, you will have days where you just can’t even. You know, days where you just aren’t in the mood to lift, run, or even get out of bed! We all have those days and it’s nothing out of the ordinary, but what do you do when those days hit you? On today’s episode, I share 9 sure-fire tips on surviving (and potentially thriving) during your off days. 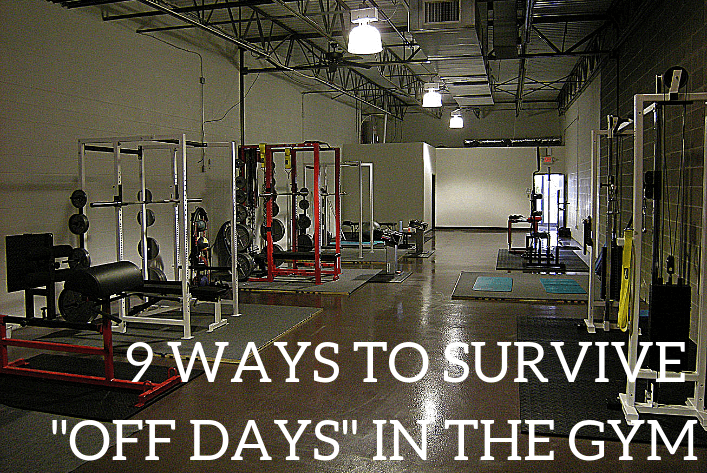 I explain each tip, as well as share specific exercise and mindset recommendations. I give you my go-to training hack when I’m not in the mood to train. And I also share advice on how to prevent injuries, and how modifying your workout and exercise routine can impact your overall fitness success. Do your best, but if it’s not happening that day then it’s not happening. That’s okay. Live to fight another day. What you do when you don’t feel like going to the gym. Forming the right mindset that will motivate you to get out and train. The warm-up hack and how it helps with your commitment to fitness. What it means to extend your warm-ups and how it ties in to your hobbies. How to prevent self-inflicted injuries during training day. Modifying your exercises to fit your current mood. How to modify alternative circuit training to suit your conditioning needs. Exercise recommendations you can do when you’re not in the mood. If you enjoyed this episode, be sure to subscribe on iTunes, Stitcher, and SoundCloud and leave your honest review. And we’d love to connect on Facebook, Twitter, and Instagram as well. Thanks for your support!